Since turning professional in 2000, Scott Gardiner is yet to play on the PGA Tour. It is something Gardiner has always wanted and his dream has finally become a reality following his runner-up finish at the Web.Com’s Tour Albertson’s Boise Open. The 36-year-old Aussie and eight year veteran of the Web.Com Tour finished four shots behind Luke Guthrie at the Hillcrest Golf Club in Idaho to move his season earnings to US$212,000 to be in 9th position on the money list, well inside the desired top-25 who graduate to the main tour next season. 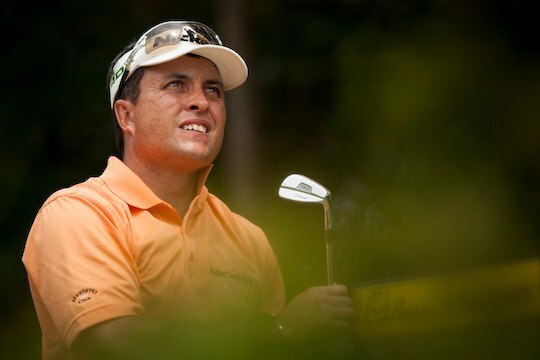 The result guarantees Gardiner a 2013 PGA Tour card following some near misses, with the most notable in 2010 when he missed by one place, or US $2,010, after closing poorly at the Tour Championship, the final event of the season. But for a double bogey late in his final round Gardiner would have been packing his bags for the 2011 PGA Tour. At the time it was one of the hard luck stories of the secondary tour, yet it made Gardiner even more determined to earn his way onto the PGA Tour. “I don’t really dwell on it,” Gardiner said about his near misses on making the PGA Tour. Gardiner also came close to making the PGA Tour in 2009 and 2007 when he was 30th on the Web.com Tour money list each of those seasons. He’s been to the Q-school finals three times all without securing a much sought after PGA Tour tour card. His only career win on the Web.Com Tour came at the 2010 Chattanooga Classic, yet that was not enough to see him move to the PGA Tour that season. Gardiner certainly knows the courses on the Web.Com Tour, having played in 193 career tournaments, making 119 cuts for just over US$1 million in career earnings. This season there was the added motivation to make the number with the PGA Tour in 2013 set to change the qualifying criteria as to who graduates to the main tour from the Web.Com Tour. “You have to always finish high on this tour or you can lose ground and miss the number,” said Gardiner about the Web.Com Tour. When Gardiner makes his long awaited debut on the PGA Tour next season, his experience and knowledge of life on tour will prove invaluable. Gardiner has got the break he so richly deserves and in the process finally gets his shot at the big time.